For a while now I’ve been looking for some skaters to sponsor with my boards. Since Woody’s aren’t made for your average kickflippin skate I looked everywhere for true concrete waves surfers. Today I’ll send of the old school cruiser shown in the picture below. 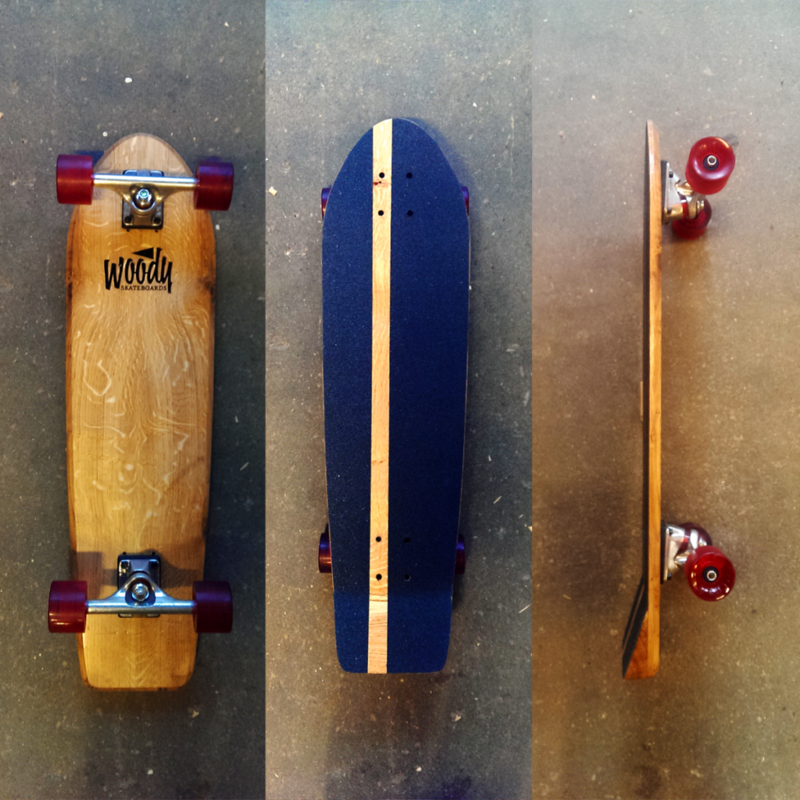 It’s an solid Oak cruiser from the Amsterdam Forest with old school kicktail! And it will be shipped to Japan, to the guys who are bringing powerslides and surfstyle back to skateboarding: Shakabe! Check out this crazy video! This guys rides in the style that Woody Skateboards are made for!